Hope remains alive that the Supreme Court of the United States [SCOTUS] will hear an appeal brought by the state of New Jersey in a case involving that state’s attempt to formally legalize sports betting in a limited manner, following an “invitation” from the US’s highest court to the US Solicitor General to file a brief offering the government’s official opinions and belief in the case. Such a request is in itself unusual, and it’s comparable on the rarity scale to SCOTUS accepting any case at random out of the many tens of thousands of appellate attempts it receives each year. In this latest order list, SCOTUS dealt with over 100 such writs of certiorari, rejecting nearly all of them; the Christie II matter was the only such case on the list where a CVSG (“a Call for View of the Solicitor General”) was issued. Wallach, a Florida-based sports attorney, has been among the most active followers and reporters on the Christie II issue. As most US-based sports fans and bettors know, a victory for New Jersey in the Christie II case (and a final defeat for the professional sports leagues and NCAA that sued the state to prevent sports-betting regulation) would also likely mean the demise of the US’s PASPA (Professional and Amateur Sports Betting Act). 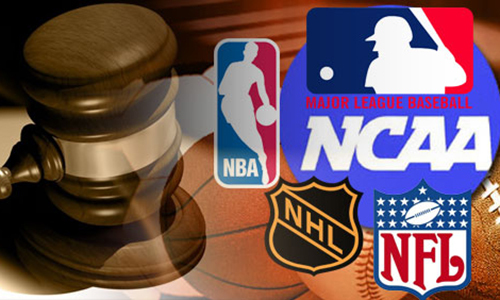 Should PASPA eventually be declared invalid, New Jersey won’t be the only US state legalizing sports betting and challenging Nevada’s intact monopoly…. and that’s why lots and lots of people are watching. 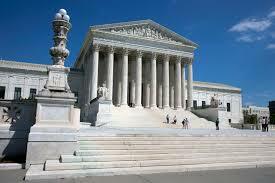 How likely is it that the Supreme Court will accept the Christie II case for appeal? Some pro-gambling pundits put the current odds at nearly 50%, though such a figure is somewhat meaningless in a vacuum. As Wallach noted in his latest entry, the pending “view” to be written by the incoming US Solicitor General will be vital, since CVSG opinions have carried the favor of SCOTUS’ eventual decision in at least the last 20 such cases where CVSGs were issued. And… no one knows yet who that new US Solicitor General will be. The hapless Trump Administration and its transition team hasn’t even nominated anyone for the post, much the same way they haven’t nominated or installed anyone in the top posts at the US’s vital State Department. Yet the orange-coiffed baboon’s eventual choice for Solicitor General may well decide this case: Most GOP nabobs trend against any expansion of legalized sports betting or gambling in the US, yet Trump himself has a long history of enmity with the National Football League [NFL], the primary force behind the retention of PASPA. Part of that goes back to the 1980’s when Trump was denied in his efforts to possibly purchase an NFL franchise, and was instead forced to settle for a pale imitation, second-hand ownership of the New Jersey Generals of the short-lived USFL. The issuing of the CVSG, however, assures that the fate of the Christie II case will be kicked on down the road for at least a few months. New Jersey’s top officials keep promising that legal sports betting will be available “soon,” but soon turns out to be very indeterminate indeed.